Will Payment Services Boost U.S. Bancorp (USB) Q1 Earnings? 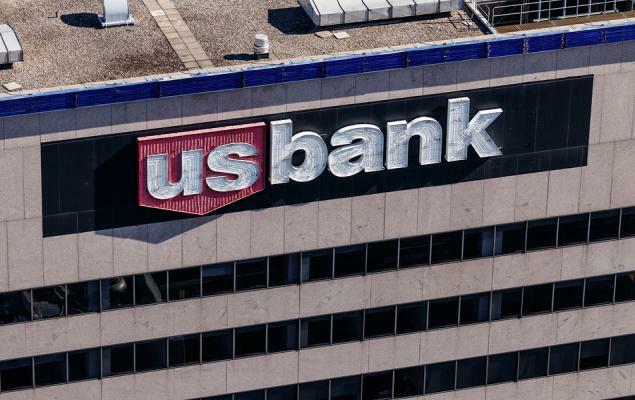 U.S. Bancorp (USB - Free Report)	is scheduled to report first-quarter 2019 results on Apr 17, before the opening bell. The bank’s revenues and earnings are anticipated to grow year over year. Given the increase in digitization, card operations and demand for online services are likely to have witnessed a rise in the quarter. Thus, the company’s performance will likely reflect growth in credit and debit card along with merchant processing revenues (accounting for around 30% of total fee income). Further, improved lending scenario and strong equity markets are expected to have offset the slowdown in mortgage business. The Zacks Consensus Estimate for sales of $5.7 billion reflects a rise of 2.5% from the year-ago quarter. Before we look at other factors that might impact first-quarter earnings, let’s take a look at how the company performed in the past quarters. Notably, U.S. Bancorp boasts an impressive earnings surprise history. It surpassed estimates in each of the trailing four quarters, the average positive surprise being 1.2%. Steady Net Interest Income Growth: A decent lending backdrop, particularly in the areas of commercial and consumer loans, will offer support to banks’ interest income. However, weakness in revolving home equity loans (due to slowdown in originations as well as refinancing activities) will partially offset this. Also, the bank’s margin is likely to reflect a full-quarter benefit of the interest rate hike by the Federal Reserve in December 2018, while flattening of yield curve will likely hurt somewhat. In addition, the Zacks Consensus Estimate for average interest earning assets of $423.7 billion for the first quarter indicates improvement of 2.9% year over year. Management expects net interest income to increase in low-single digits, on a year-over- year basis. Given the improvement in the loans and margins, the Zacks Consensus Estimate of $3.24 billion for NII projects 2.3% rise. Muted Consumer Revenues: With the improving economy, deposits are likely to have increased, leading to higher revenues from service charge on deposits. Per the consensus estimate, deposit service charges are likely to grow 5.5% year over year. However, with the divesture of ATM servicing business, a decline in related fees is expected. Further, higher interest rates are likely to have kept mortgage refinancing activities and fresh originations at a lower level. Therefore, no major help is expected from this segment. The Zacks Consensus Estimate for mortgage banking revenues is $169 billion, down 8.2%. Payment Services Revenues to Witness Strong Growth: Per the Fed’s data, demand for credit card loans likely picked pace in the last two months of the first quarter, resulting in usage of debit/credit cards. Thus, the consensus estimate reflects slight growth in card fees in to-be-reported quarter. Also, with the increasing demand for online payment of products and services, fees charged to merchants for the electronic processing of transactions are expected to increase. The Zacks Consensus Estimate projects 3.6% improvement in merchant processing services revenues. Overall Non-Interest Revenues to Rise: Inflows from the investment management business might have been recorded on market gains in the quarter. In addition, trust income is likely to reflect improvement on strong equity markets. The consensus estimate for trust and investment management fees indicates a jump of 3.8%. Further, revenues from corporate payment products and investment products are expected to grow 9.1% and 1.5%, respectively. Given expectations of rise in most components, the Zacks Consensus Estimate for non-interest revenues is $2.31 billion, up 1.8%. Further, management expects fee revenues to increase in the low single-digits year over year, including the negative impact of the sale of the ATM business. 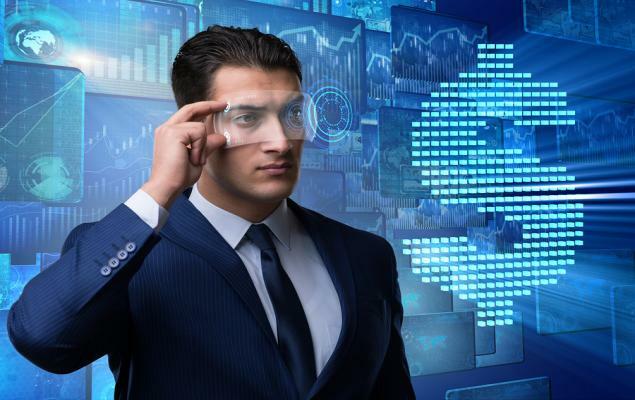 Expenses Might Trend Higher: Increased investments in technology to improve digital offerings and seasonal rise in employee compensation and benefits might have escalated costs moderately. According to our quantitative model, it cannot be conclusively predicted if U.S. Bancorp will be able to beat estimates this time. This is because it does not have the right combination of the two key ingredients — a positive Earnings ESP and Zacks Rank #3 (Hold) or better — to be confident of an earnings surprise call. Earnings ESP: The Earnings ESP for U.S. Bancorp is 0.00%. Zacks Rank: U.S. Bancorp currently has a Zacks Rank #4 (Sell). Notably, the Zacks Consensus Estimate for earnings of $1.00 reflects a 5.3% rise on a year-over-year basis. Here are some stocks you may want to consider, as our model shows that these have the right combination of elements to post an earnings beat this time around. Northern Trust Corporation (NTRS - Free Report)	is scheduled to release results on Apr 23. It has an Earnings ESP of +0.57% and a Zacks Rank #3. You can see the complete list of today’s Zacks #1 Rank (Strong Buy) stocks here. Fifth Third Bancorp (FITB - Free Report)	is scheduled to release results on Apr 23. The company, which carries a Zacks Rank of 2 (Buy), has an Earnings ESP of +0.34%. The Earnings ESP for TCF Financial Corporation (TCF - Free Report)	is +0.18% and it carries a Zacks Rank of 3. The company is scheduled to report quarterly numbers on Apr 22. Be among the early investors in the new type of device that experts say could impact society as much as the discovery of electricity. Current technology will soon be outdated and replaced by these new devices. In the process, it’s expected to create 22 million jobs and generate $12.3 trillion in activity. A select few stocks could skyrocket the most as rollout accelerates for this new tech. Early investors could see gains similar to buying Microsoft in the 1990s. Zacks’ just-released special report reveals 7 stocks to watch. The report is only available for a limited time. Can Value Investors Consider Cognizant Technology (CTSH)?